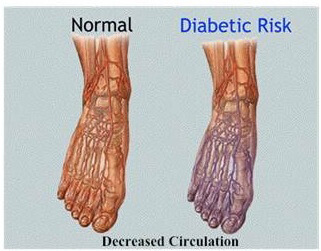 If you have diabetes, then your feet are at particular risk for diabetes-related health issues. Here our diabetes Brampton team has assembled information to help educate you on the risks you should be aware of, and how to manage this issue. Diabetes is a group of metabolic related diseases that alter or interfere with the maintenance of healthy blood sugar levels. If you have been diagnosed with diabetes, you will have one of the three main types: Type 1, Type 2 or Gestational. Type 1 Diabetes – Begins when the pancreas fails to produce enough insulin. Type 2 Diabetes – Happens because the body has increased insulin resistance and the body is failing to respond or use insulin properly. Gestational Diabetes – Results from when a pregnant woman suddenly develops high blood-sugar levels without having a prior history of another type of diabetes. People with diabetes can develop foot problems from ordinary problems, which can lead to having serious complications. Diabetes when not controlled has the ability to damage your nerves. With damaged nerves within your extremities, there is a possibility that you will not feel pain, heat or cold. The name for this lack of feeling is “sensory diabetic neuropathy.” Without the sense of cold, heat or pain, you may not respond to the potential damage being caused by the pain. An example may be that you have a tack or stone in your shoe and you may not realize it for the period of the day. This may lead to damage to the skin and tissue, potentially also causing infection. Foot ulcers can also occur because of nerve damage and peripheral vascular disease often in about 10% of cases. Finally you may experience changes to the shape of your feet and toes because of the nerve damage. At this point it may be appropriate to get therapeutic shoes as opposed to trying to feet deformed feet and toes into a regular shoe. Diabetes can also affect blood flow. With poor blood flow, cuts and sores can take longer to heal. When there is poor blood flow in the legs and arms it is referred to as “peripheral vascular disease.” Infections that do not heal because of poor blood flow can create risk for the development of ulcers or gangrene. Because of the lack of blood, the death of tissue is known as Gangrene. 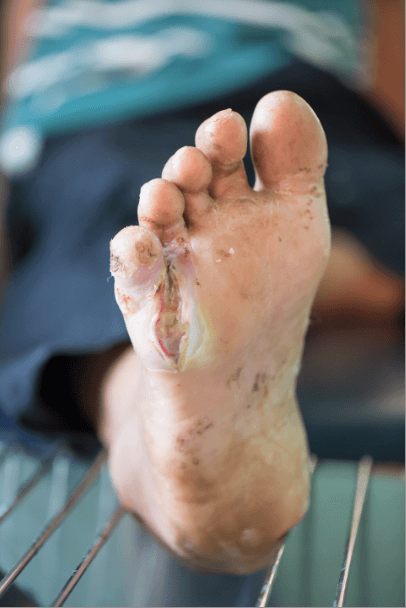 Gangrene treatment can be as severe as amputation. The damage to the feet is can be magnified from weight gain, which is common in people with diabetes. In addition, diabetics have a slower healing process. When diabetic foot risk is compiled with poor-fitting footwear and tight-fitting socks that reduce circulation, there can be significant risk of serious foot damage. 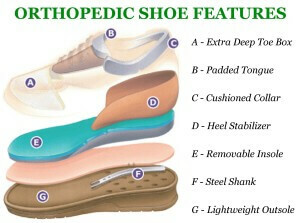 – Acquire professionally-fitted orthopedic footwear. – Control blood-sugar levels carefully. – Visit a specialist to assess symptoms. – Avoid walking until you are able to visit a specialist. – Have your shoes professionally fitted. – Visit a foot clinic. – Wash sores with warm water, pat dry, cover with bandage and see a foot care specialist. – Do not try to treat them yourself. While the previous symptoms all should be looked at by a diabetic foot care specialist, if you experience any of these symptoms below they are considered extremely serious. In all cases and when in doubt contact Brampton Foot Clinic if you have any questions regarding your diabetic-related foot issues. If you take care of your feet everyday you can avoid most, if not all, of these health issues. Here are some recommendations, as always it is best to contact a professional for tailored personal care and advice. – Check for red spots, sores, blisters, changes in colour and size as it is possible to have feet problems but feel no pain. – Schedule a time to do so every day. In the evening, after removing your shoes is a good time to check your feet. Keep them clean and dry. – Wash in warm, not hot, water and do not soak your feet, as they will get dry.- Use talcum powder to keep your feet safe from infection. – Trim toenails after you wash and dry them. – Cut the nail straight across. – Do not cut corners. – Visit a foot clinic to get orthopedics. – Wear socks all the time, they protect the feet from sores, blisters, cuts and keep them dry. – Wear socks at night to keep your feet warm. – Start slowly and consult your health care team. – Walking, swimming and bike riding are all good examples of potential activities. Exercise improves blood flow, which is good for diabetics. – Make sure to wear the proper shoes for exercising. 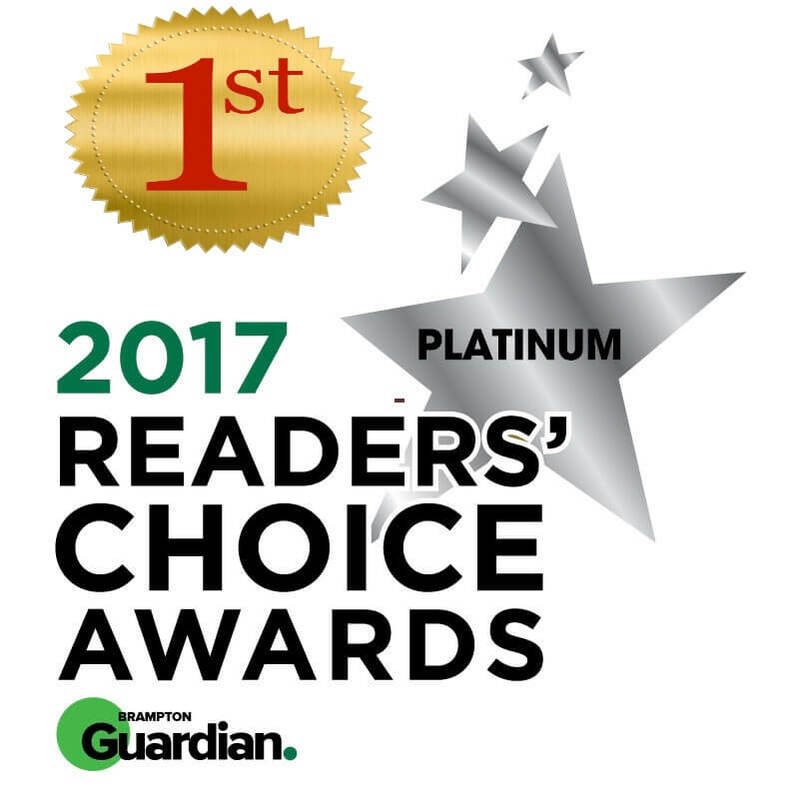 The best way to make sure you are looking after your feet properly is to see a foot clinic that specializes in diabetic foot care. Your local foot specialist can help set up an appropriate diabetic foot care plan specially tailored to you. 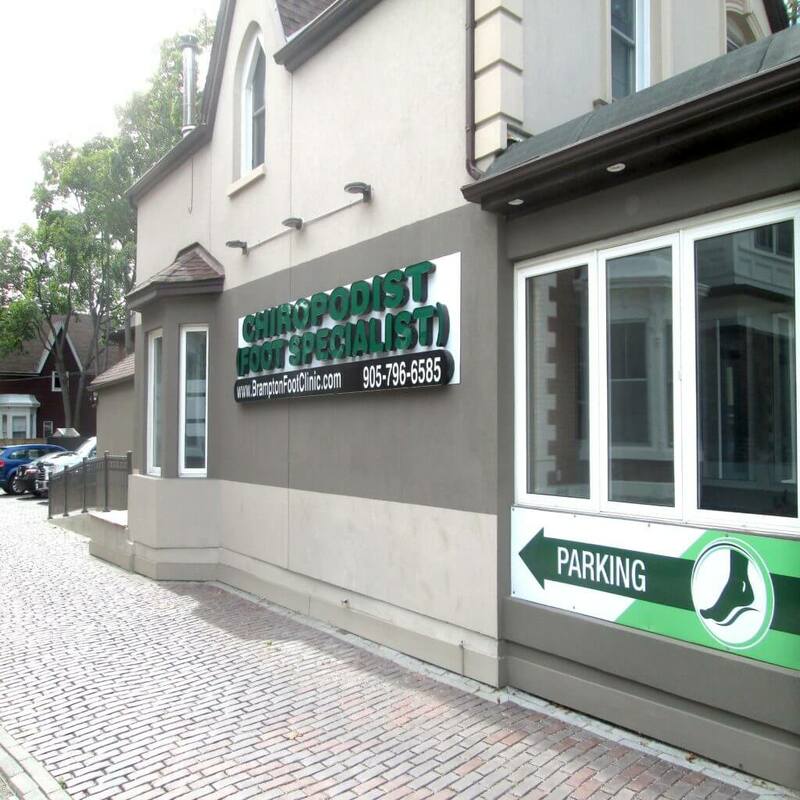 Our foot clinic can assist you with assessing your diabetic issues in Brampton, and provide a comprehensive plan to ensure your feet are treated with the absolute care.